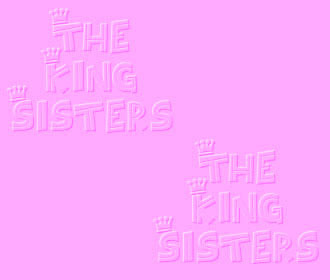 Here are some photos of myself with the King Sisters in Beverly Hills, California. 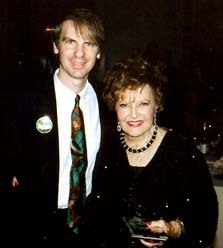 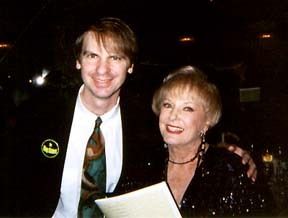 These photos were taken in November, 1995 at a tribute dinner to Jim Conkling, former record company president and husband of original King Sister Donna (King) Conkling. 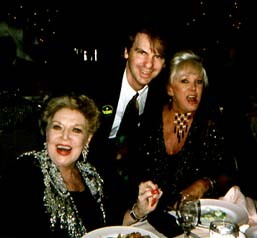 The King Sisters made their last performance at this Beverly Hills dinner, as Alyce passed away the following year. 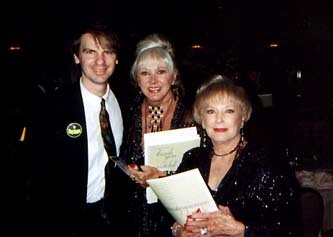 I was honored to have been invited to this event, and to see the Sisters perform onstage for the last time.